This post has already been read 10183 times! 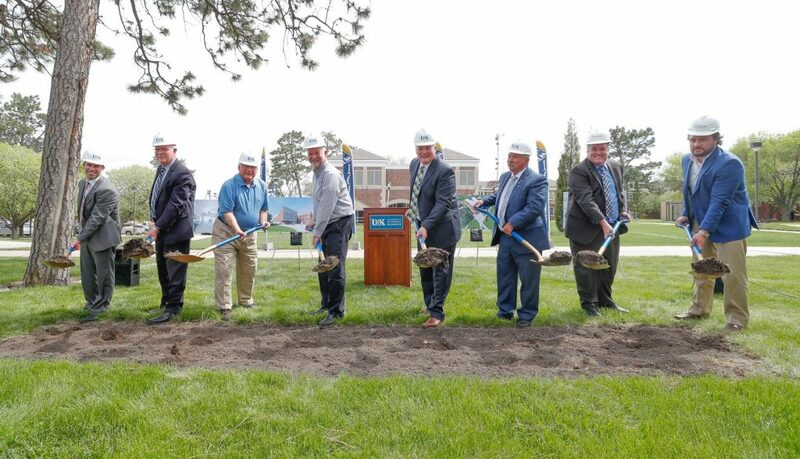 KEARNEY – Chancellor Doug Kristensen called it a perfect day for a perfect building Wednesday as the University of Nebraska at Kearney broke ground on a $30 million, state-of-the-art facility that will bring science, technology, engineering and math (STEM) programs together. 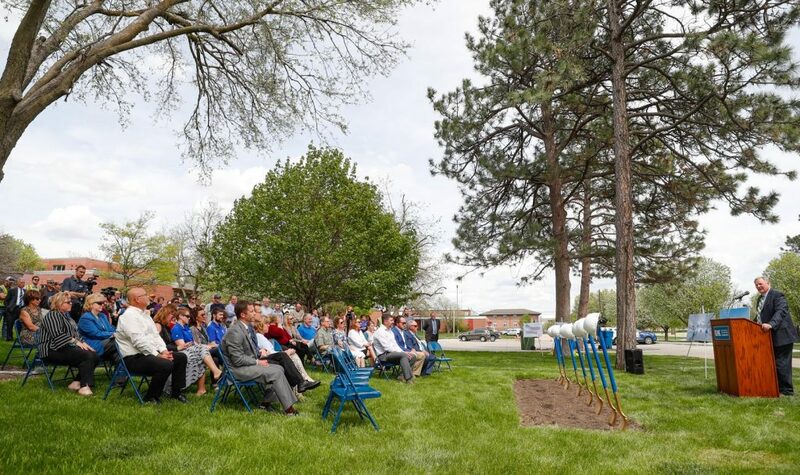 UNK faculty, staff and supporters gathered at the public event to mark the ceremonial start of construction on the 80,000-square-foot building that will rise on UNK’s west campus between West Center and Ockinga/Welch Hall. 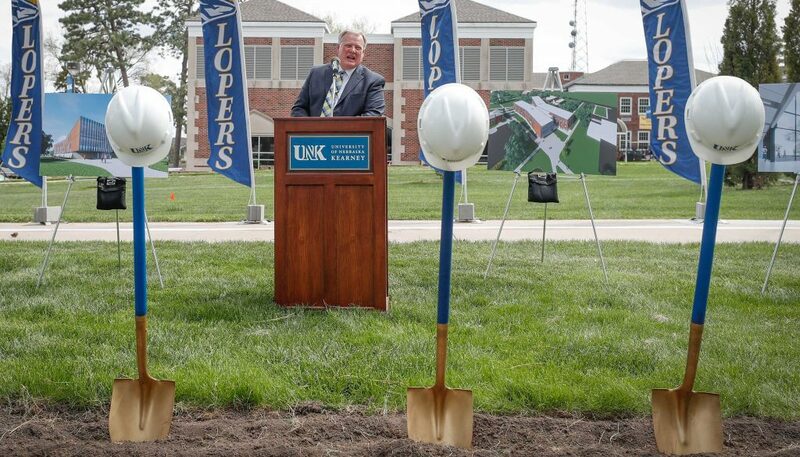 The building, which will promote collaboration and innovation among UNK students and faculty, has been a “long time coming,” Kristensen told the crowd gathered on campus on a gorgeous spring afternoon. “This building is a reward for our perseverance,” he said. 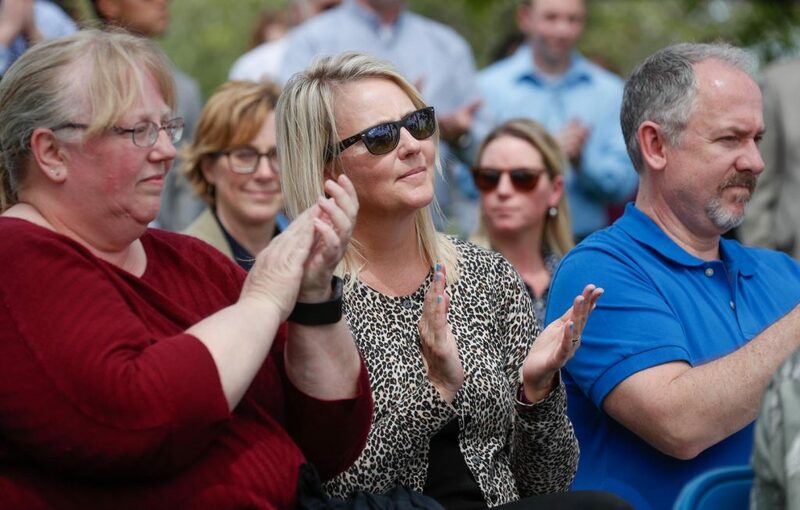 The new STEM facility, which hasn’t been formally named yet, is one of three projects that will replace Otto C. Olsen, a 63-year-old building that has been on the state’s capital construction replacement list for more than 20 years. 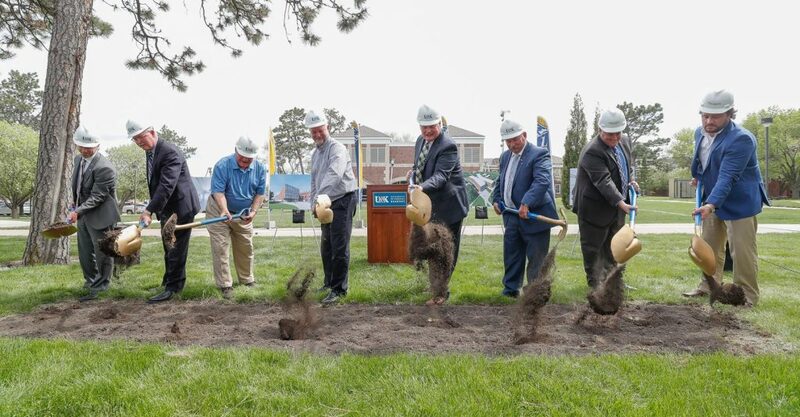 Most of the programs currently housed in Otto Olsen will move to the STEM building, which is expected to be complete in fall 2019. 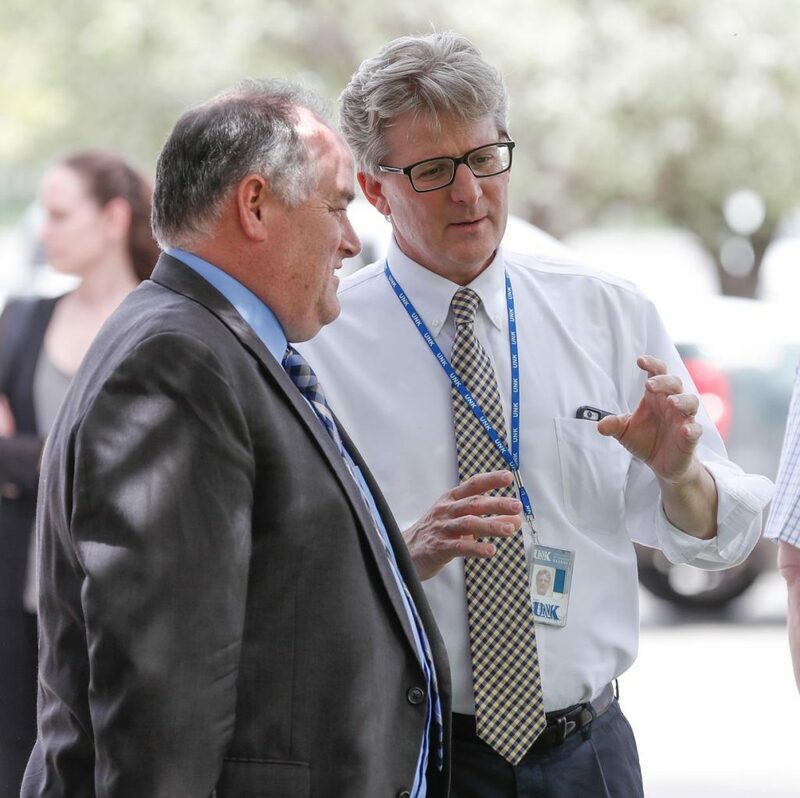 Those include construction management, industrial distribution, interior design, aviation, computer science and information technology. “Some of our best programs are in our worst building,” Kristensen said, referencing the aging Otto Olsen building. Mathematics and statistics programs are also relocating to the new STEM building from Warner Hall, and the physics/astronomy and engineering programs are shifting there from Bruner Hall of Science. 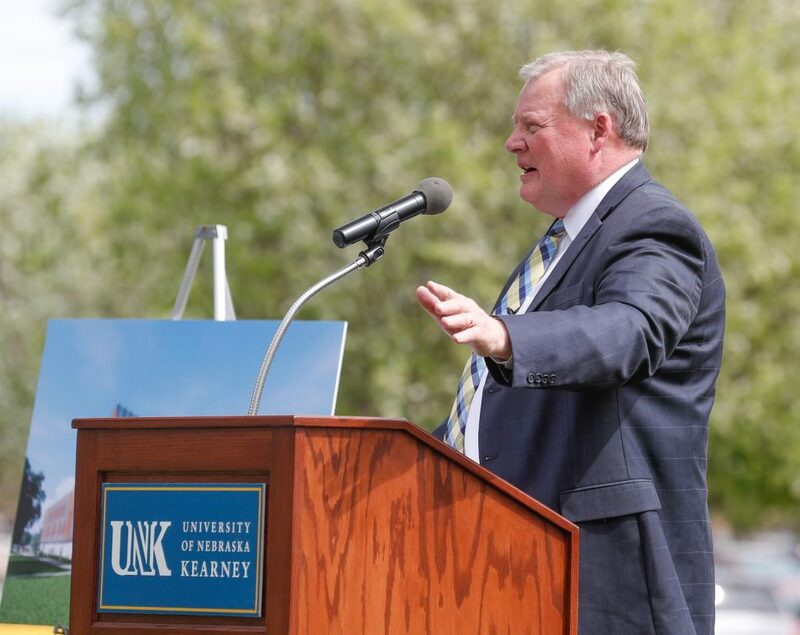 Kristensen said these programs will share more than a building, they’ll also share ideas, projects and research that advance UNK’s mission and benefit the entire state. 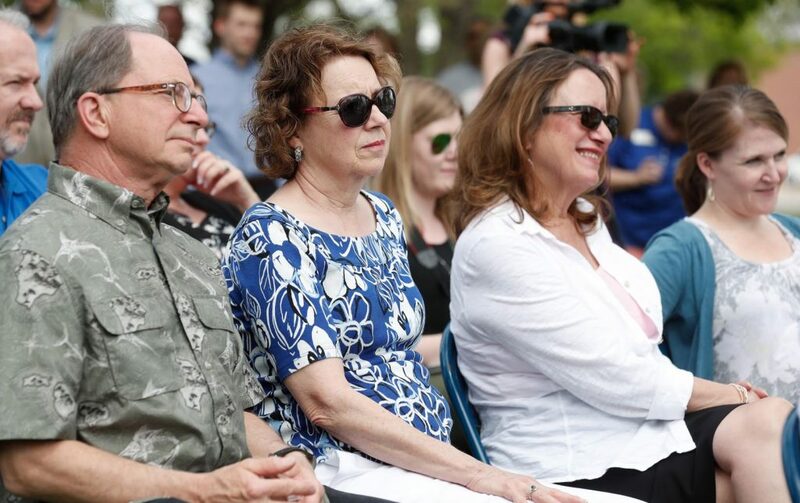 “I don’t think I’m overstating it when I say this building will change Nebraska,” he said. 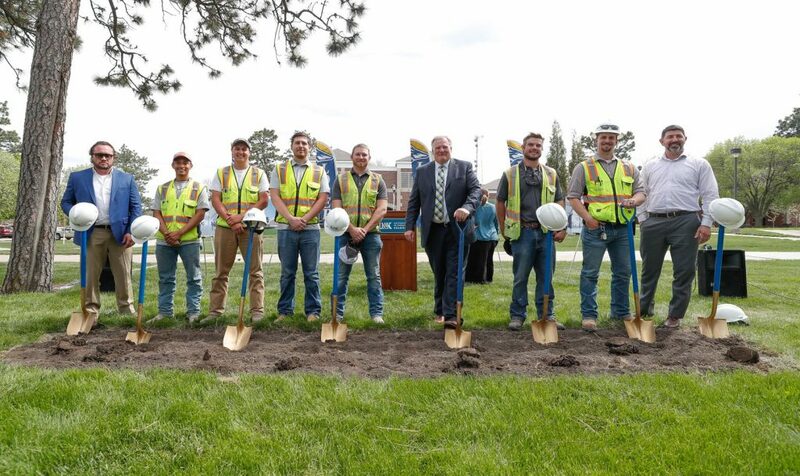 The chancellor said UNK is a driver of economic development and higher education in central and western Nebraska, and this project was developed with that in mind. 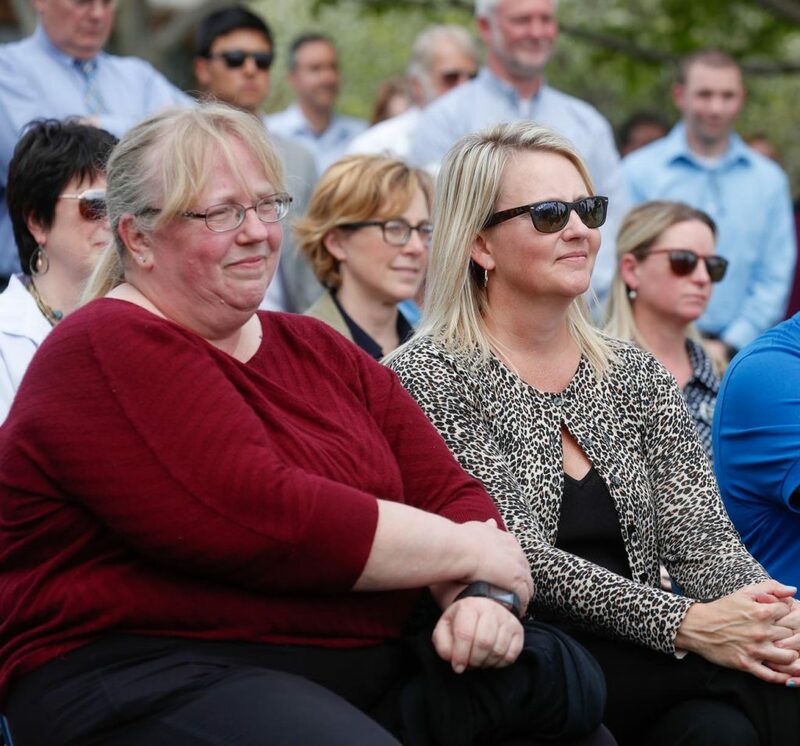 “Our buildings are more than bricks, they are our dreams and our promise to future generations,” Kristensen said. 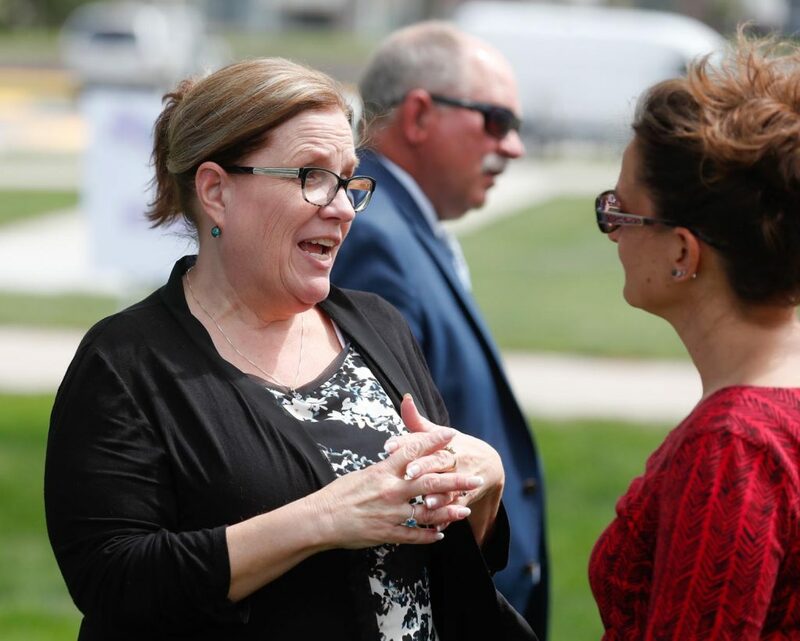 Plans for the STEM building have been in the works since 2016, when funding for the project was approved by the Nebraska Legislature. 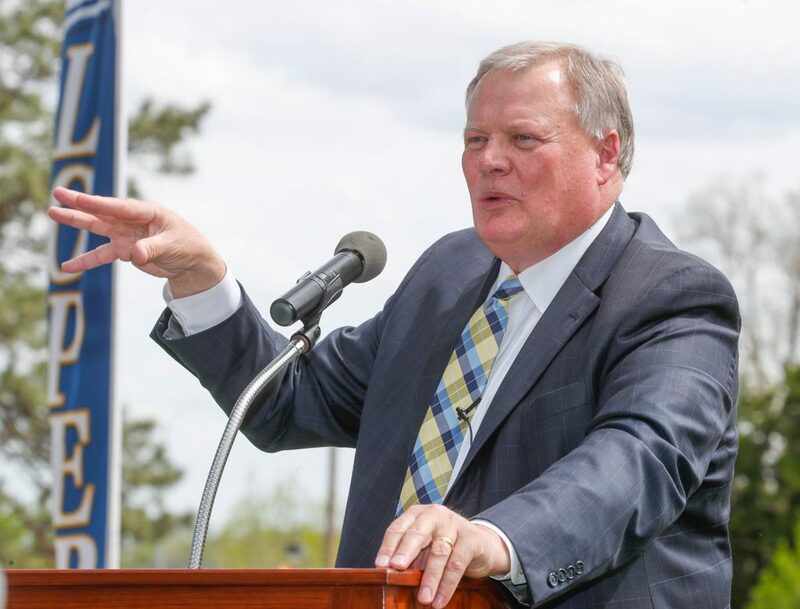 It is being paid for with renewal bonds and deferred maintenance funding directed to facility replacement projects. 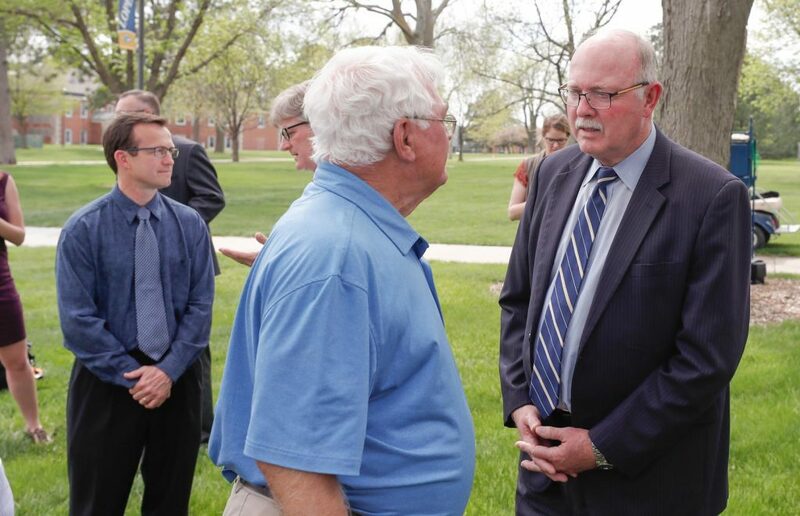 “The Legislature needs our congratulations today for having the vision and determination in 2016 to appropriate the deferred maintenance funds to replace Otto Olsen,” Kristensen said while recognizing UNK faculty and staff for their involvement with the project. 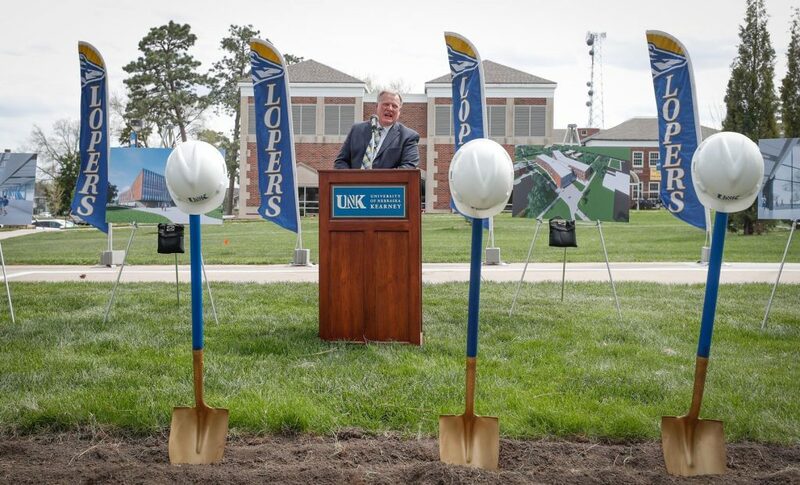 Former state Sen. Galen Hadley, who served as speaker of the Legislature in 2015 and 2016, also recognizes the importance of this project for UNK and Nebraska. 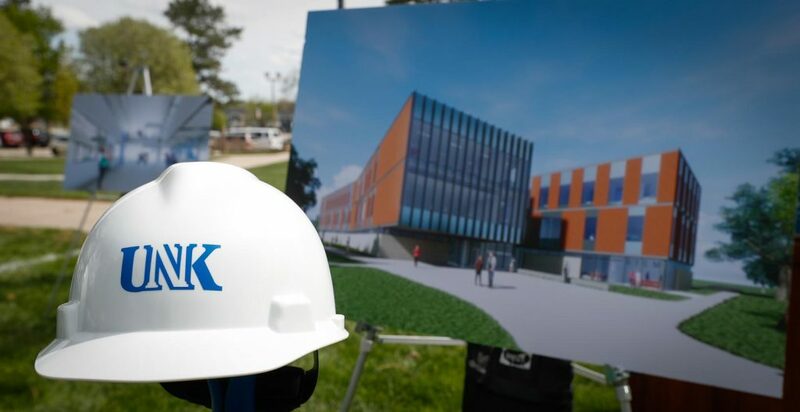 The STEM building will feature “first-rate and cutting-edge” technology, according to Charlie Bicak, senior vice chancellor for academic and student affairs at UNK, who said the project represents a “remarkable collaboration” between the STEM-related colleges on campus. The facility will be a gem admissions personnel can point to during campus tours, said Admissions Director Dusty Newton. 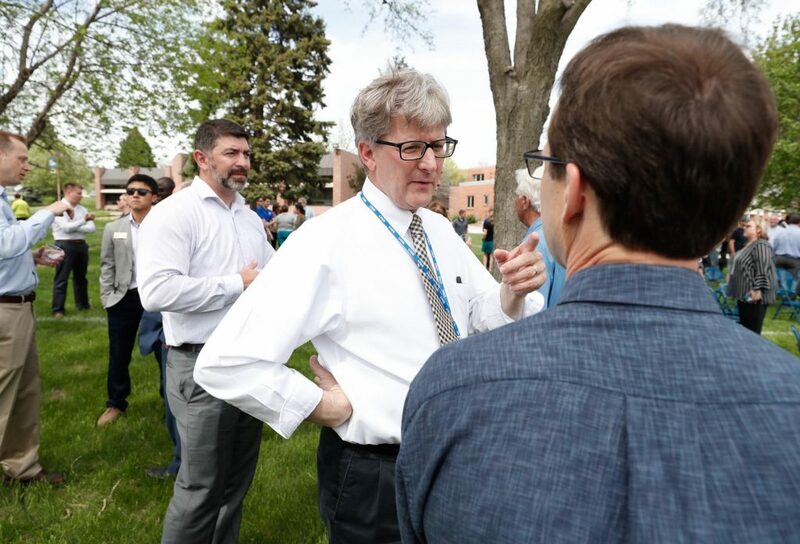 That won’t be the case once the STEM building opens, and Kristensen is already excited about the benefits it will provide students. 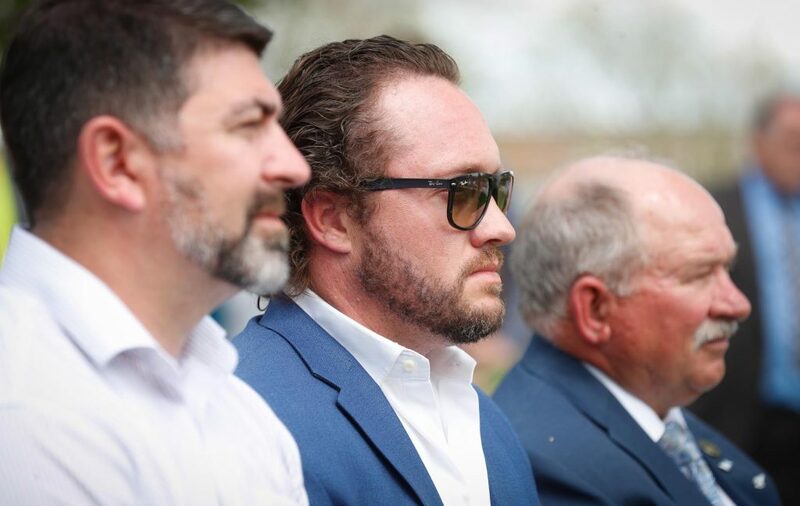 “If I was a student and trying to decide where I was going to go to school, I’d want to go somewhere that had high quality, and this STEM building is where it’s going to be at,” he said. The replacement of Otto Olsen includes two other projects. 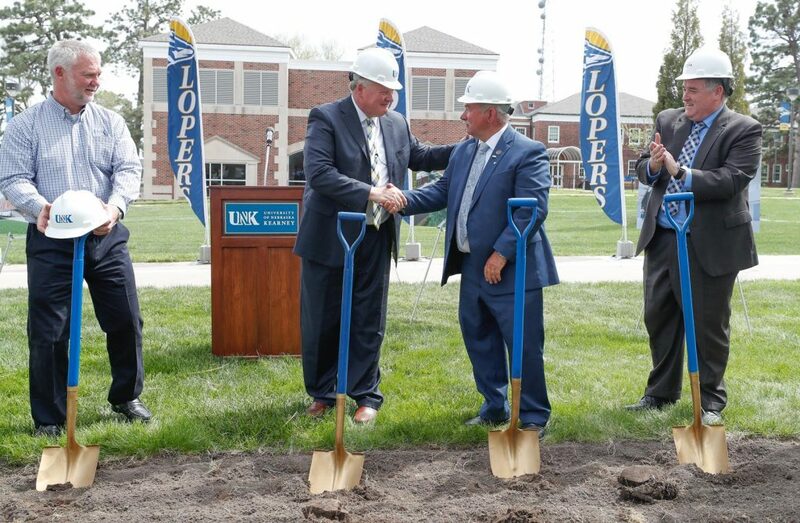 Another new building, tentatively called the Early Childhood Education Center, replaces and enhances UNK’s child development center and integrates childhood education instruction. 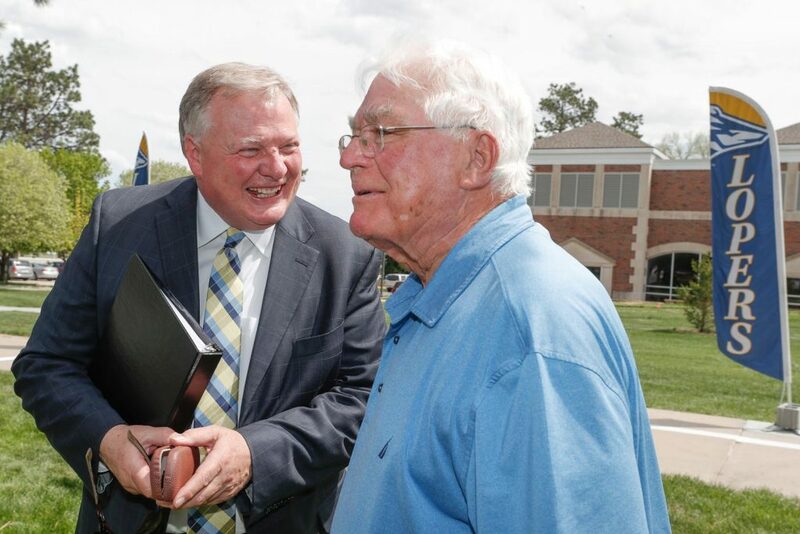 That building will be located at University Village just south of U.S. Highway 30, with a groundbreaking planned for August. A third piece is the development of an art corridor, housing the glass-blowing lab, to be constructed at the Fine Arts Building. 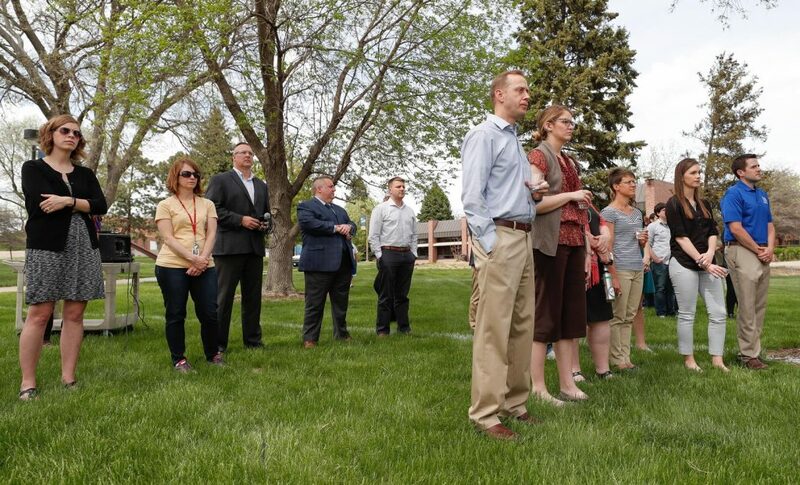 – Funding: It is paid for by renewal bonds and through state appropriation from LB 858, the University of Nebraska Facilities Program of 2016. That appropriation directed deferred maintenance funding to facility replacement projects including the Otto Olsen building. – Location: West of 19th Avenue and 25th Street, between University Drive and Highway 30. 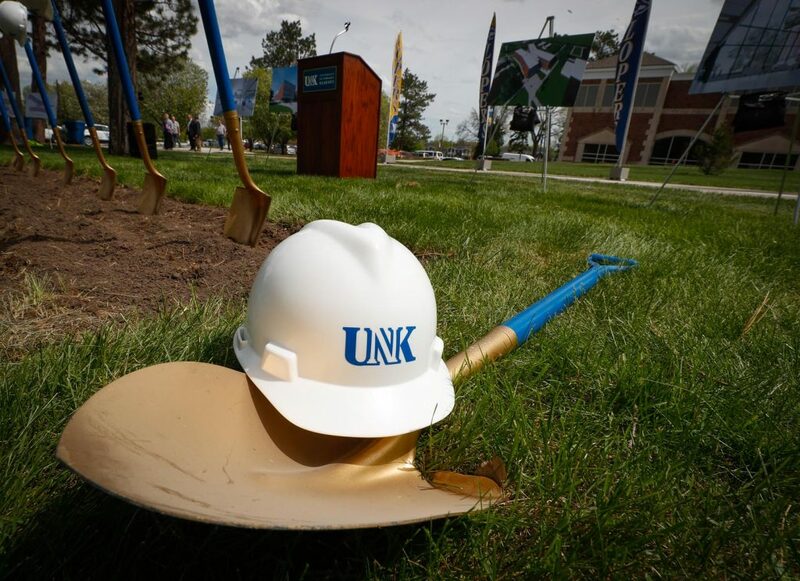 It is on the west end of UNK’s campus and located northeast of the West Center building and south of Ockinga/Welch Hall.